Marvel Studios boss Kevin Feige has revealed he was convinced to cast Vin Diesel in 'Guardians of the Galaxy' because of his "massive fan base"
Vin Diesel's "gigantic fan base" helped him land a role in 'Guardians of the Galaxy'. Marvel Studios boss Kevin Feige has revealed how the action star's 80 million fans on Facebook convinced him to cast Diesel as the voice of sentient, tree-like creature Groot in the upcoming intergalactic superhero movie. 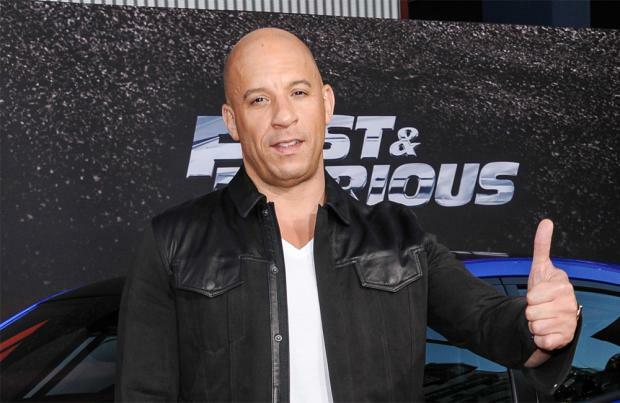 Speaking at an exclusive Q&A in London today (15.07.14), he said: "During the casting process, Vin had come in for a general meeting. Vin has a gigantic fan base, in particular on Facebook. He posted when he was going to meet with us. I think we were doing a press visit on 'Captain America: The Winter Soldier', and people were going, 'Have you met with Vin Diesel yet? How did it go?' There became this odd fever about what Vin was going to do with Marvel and in terms of a grand plan, we hadn't found anything yet." With the 'Fast & Furious' star firmly on his radar thanks to his fans, Feige recalled being impressed by Diesel's earlier voice role in 'The Iron Giant'. He explained: "I don't think people are even aware Vin did that role, so I spoke to James [Gunn, director] - 'What if we could get Vin to do this?' James said, 'That would be amazing!' Thank God Vin loved the idea and he took it very, very seriously." The part of Groot requires Diesel to say only one line, "I am Groot", but the actor worked tirelessly with the film's director to ensure each utterance was powerful and emotive. Feige said: "There was the cue-sheet which said, 'I am Groot, I am Groot, I am Groot.' But next to it, Vin made James put what that really meant, what Groot really meant [to say] in that moment. It really is one of the best performances in the movie." The Hollywood producer also confirmed he is still in talks with the 46-year-old leading man, who only provides the voice of Groot, to star in another Marvel project that would see him appear on-screen. He added: "We were talking, and still are, about what we could do in the future in a bigger part." 'Guardians of the Galaxy' is released on July 31, 2014.